We performed several small surgeries today including a bilateral 8-plate application for pediatric lower extremity angular deformities, a Girdlestone procedure (femoral head resection) in a paralytic patient, debridement of chronic tibial osteomyelitis and removal of a tibial external fixator with debridement of infected pin tract sites. We also slogged through another clinic which is always a challenge primarily due to language barriers and xray logistics. 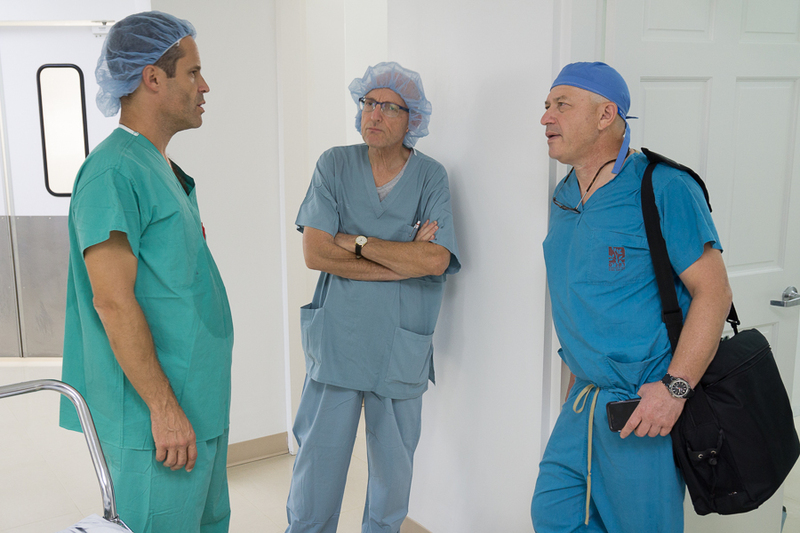 The highlight of the day was the arrival of two new team members from Israel, Drs Noam Bor and Mark Eidelman from Israel. 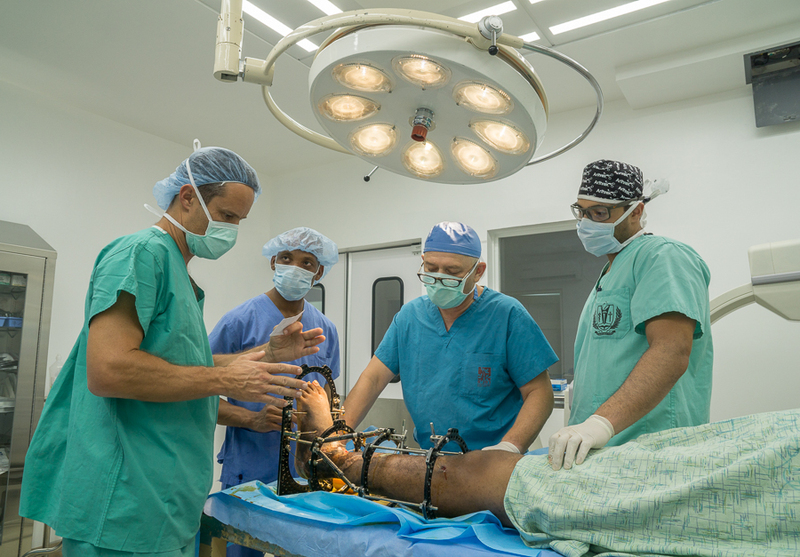 Dr Bor is the Head of the Pediatric Orthopedic Unit at Central Emek Hospital in Afula. 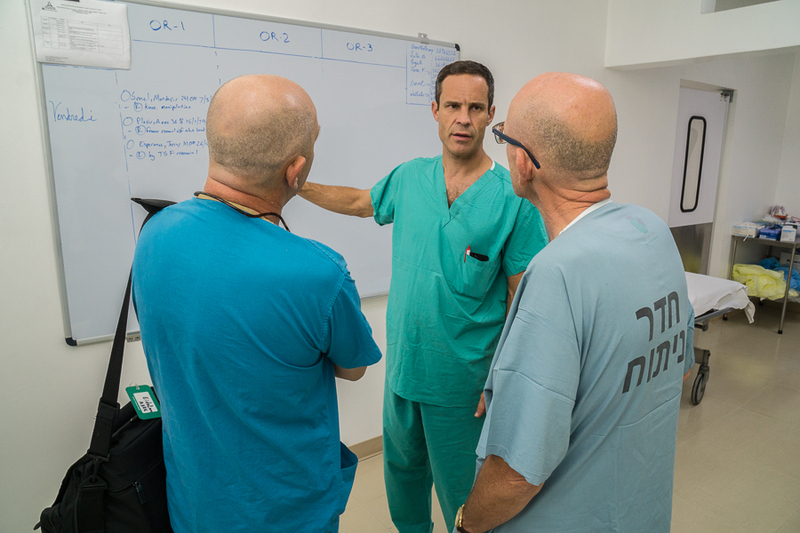 Dr Eidelman is the Director of Pediatric Orthopedics at the Meyer Children’s Hospital in Haifa. Collaboration with international team members on overseas trips like this is one of the outstanding fringe benefits. Not only do our perspectives get changed as we entertain new ways of addressing problems, we make new friends that enrich our lives for years to come. It didn’t take long for the new team members to get to work. Mark’s enthusiasm and Noam’s introspective comments have been greatly appreciated by all.